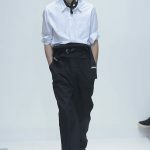 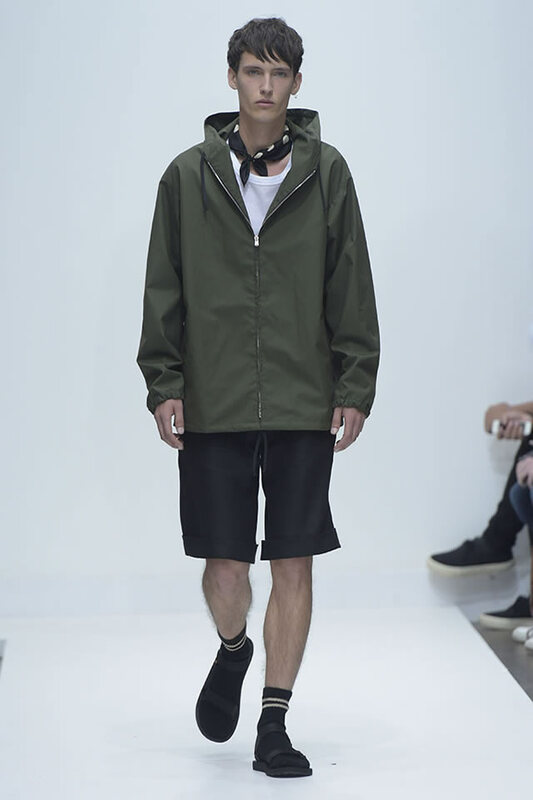 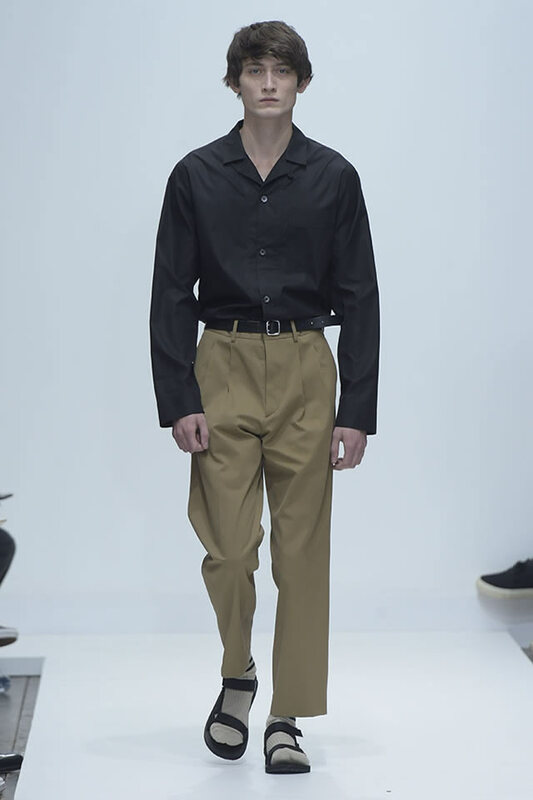 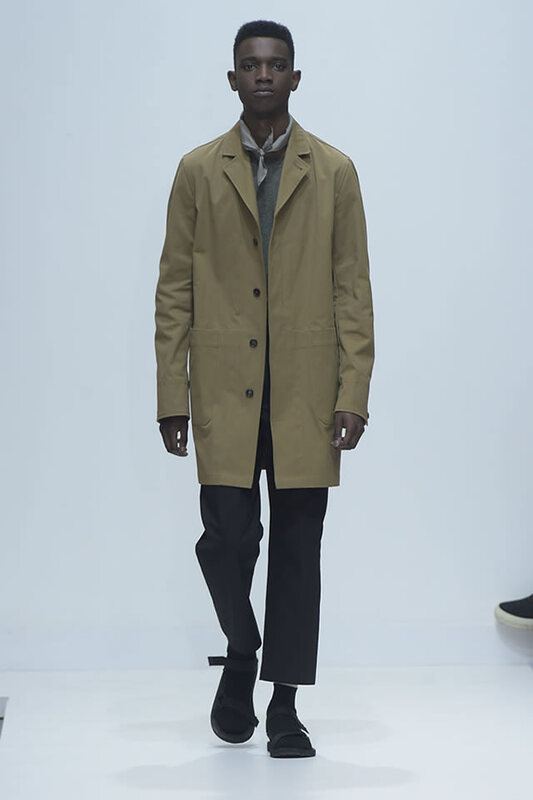 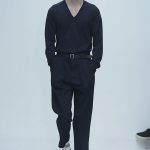 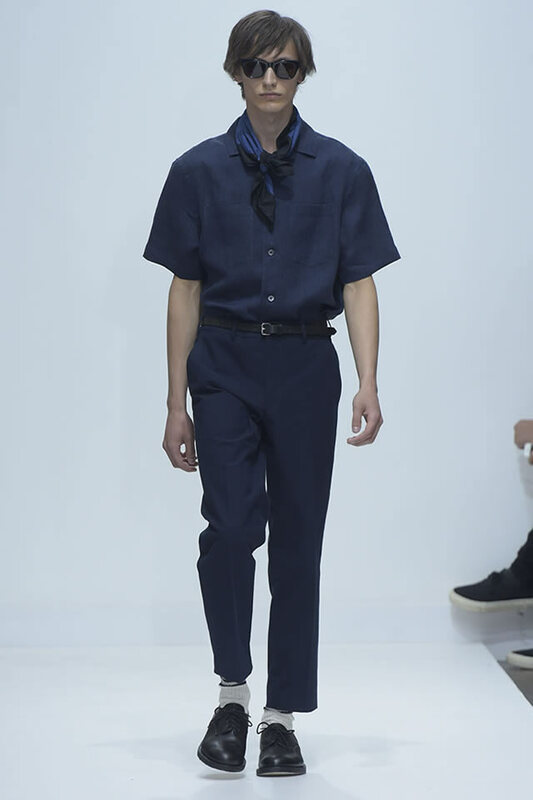 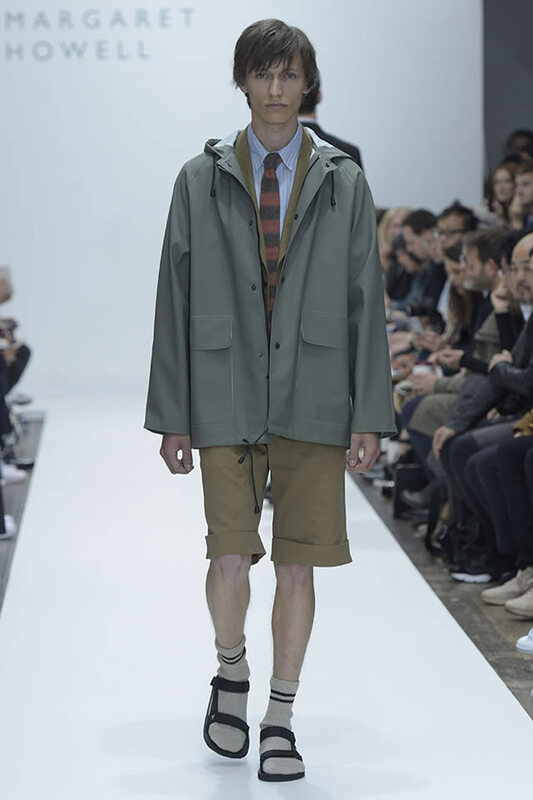 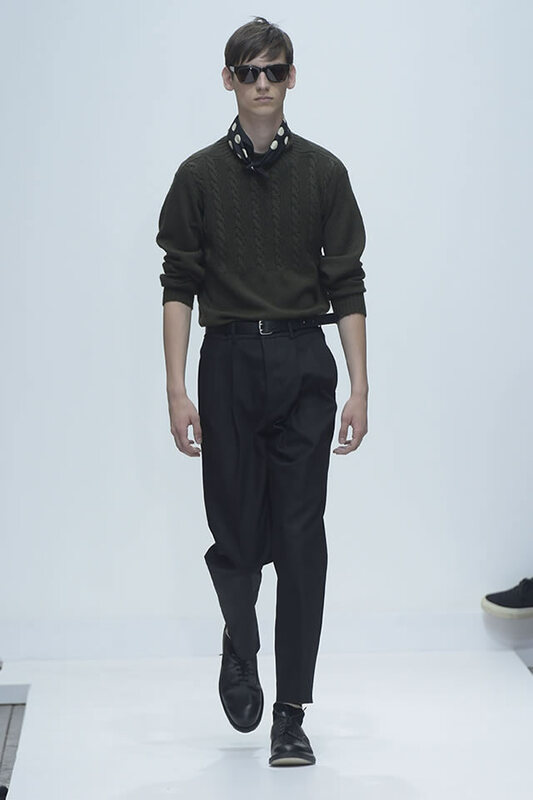 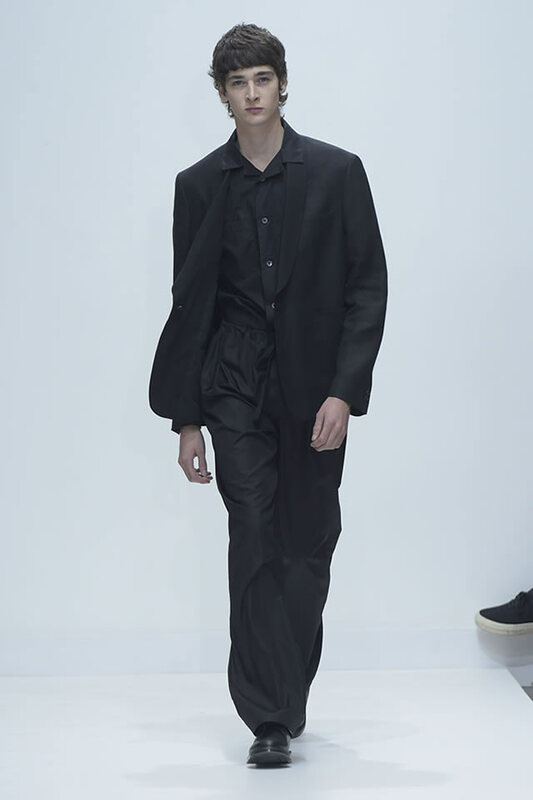 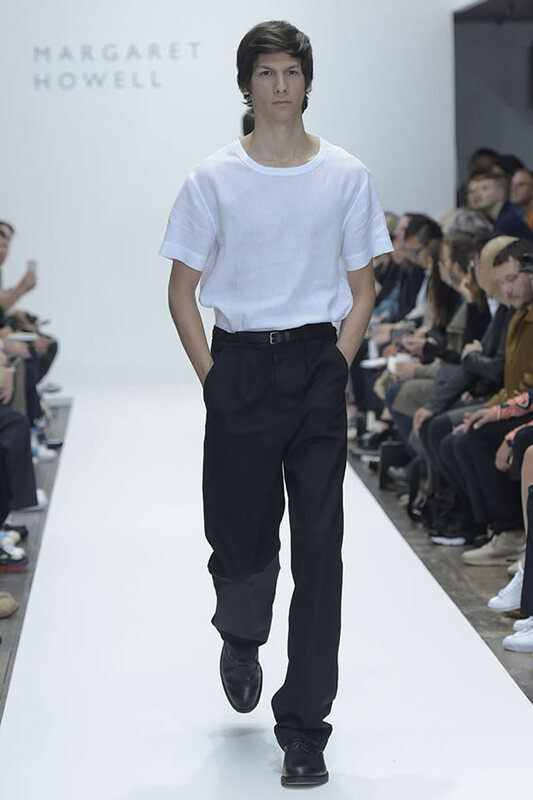 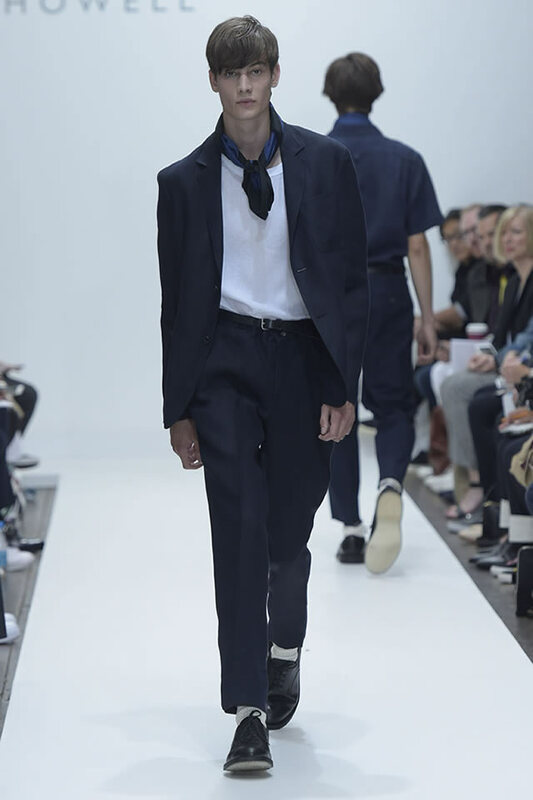 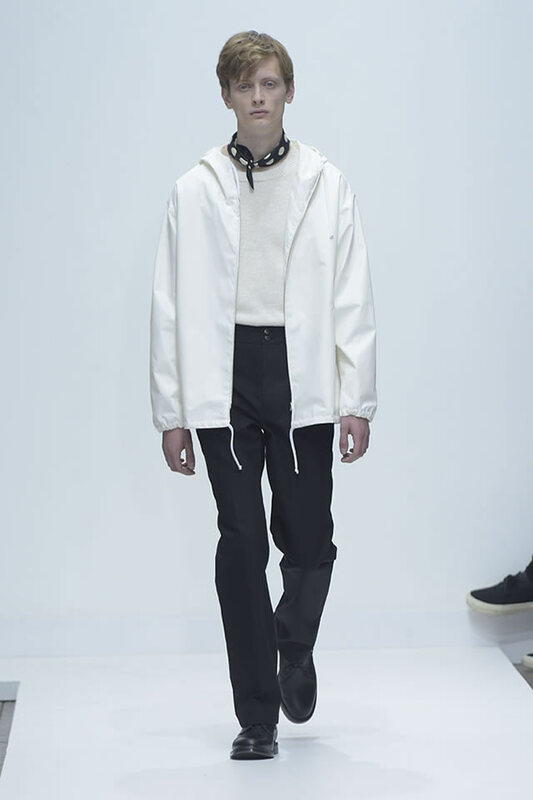 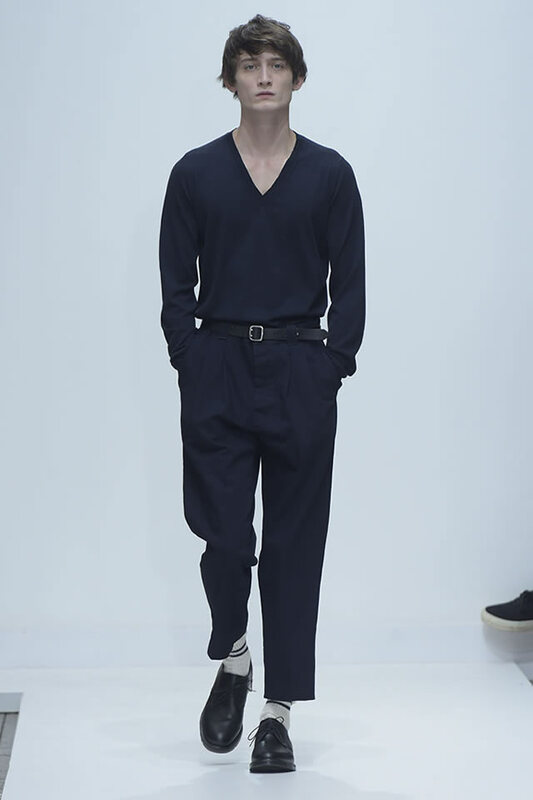 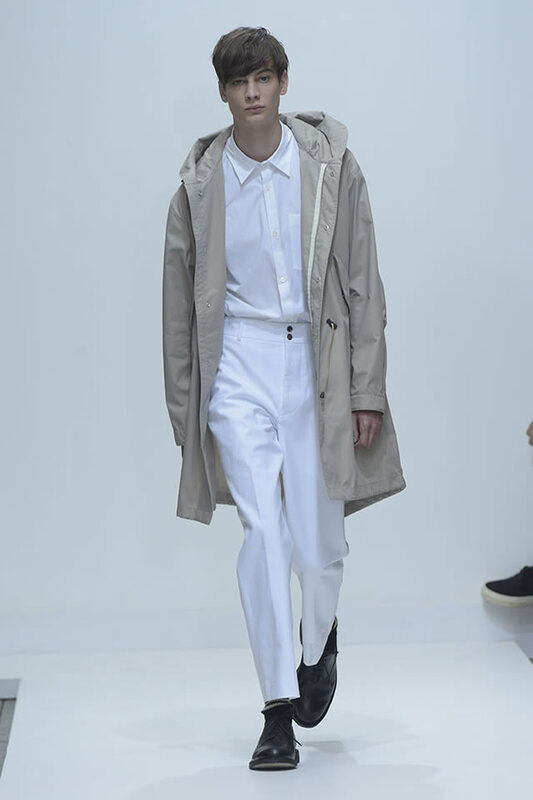 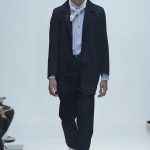 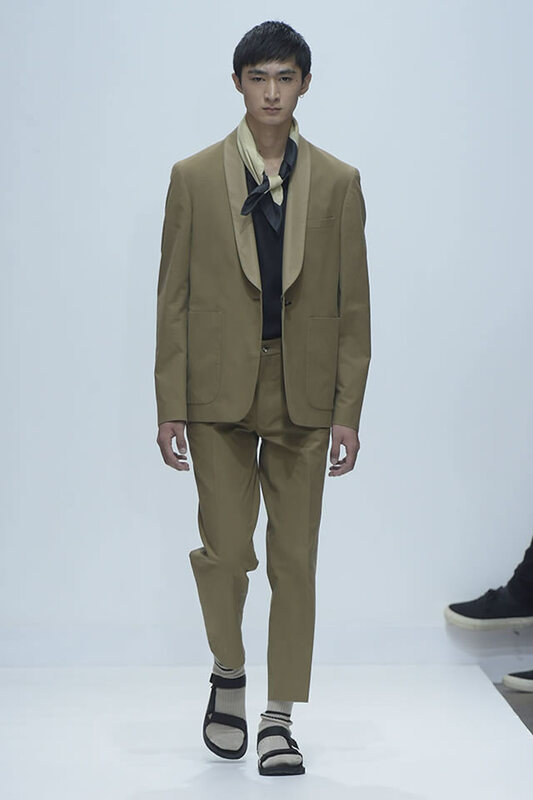 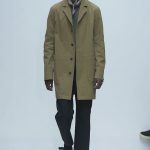 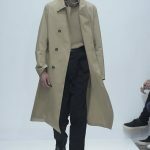 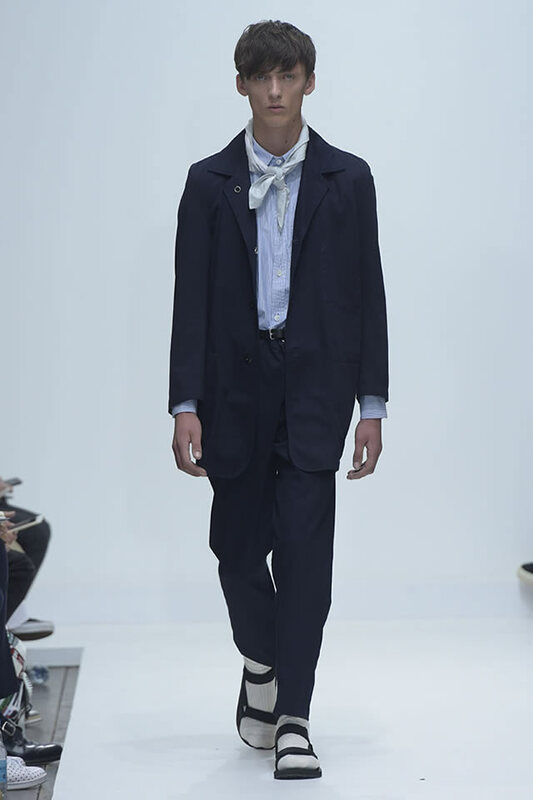 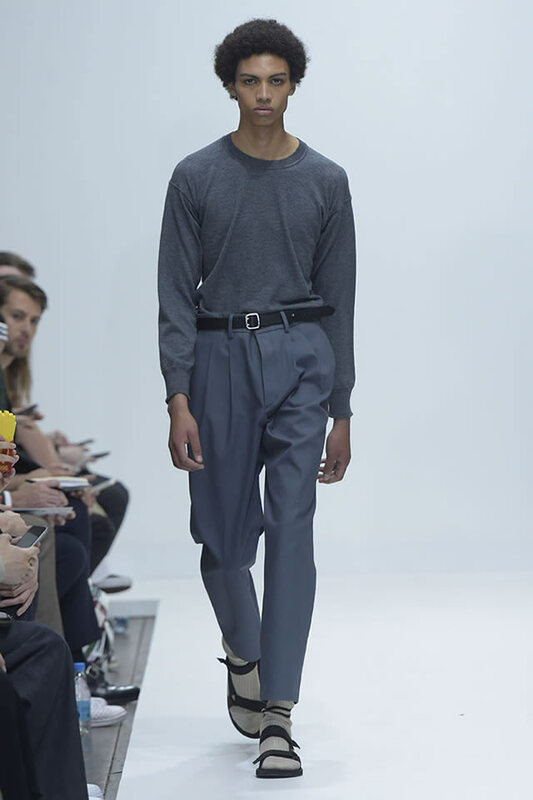 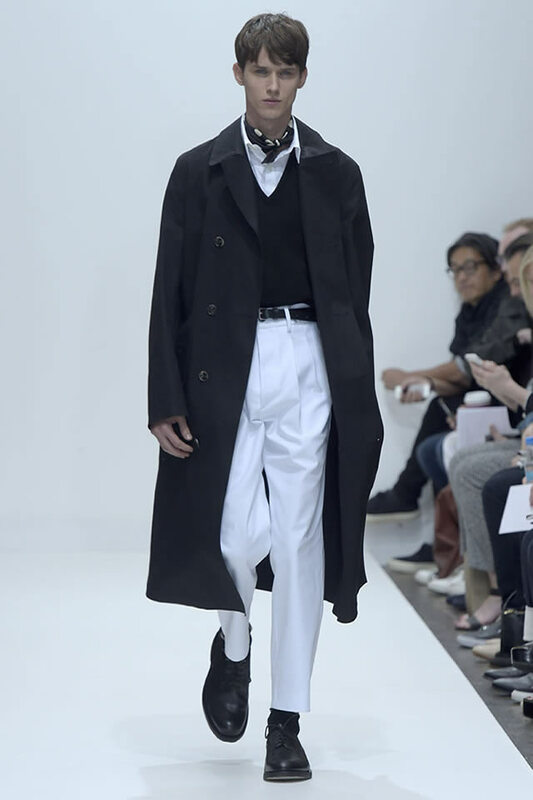 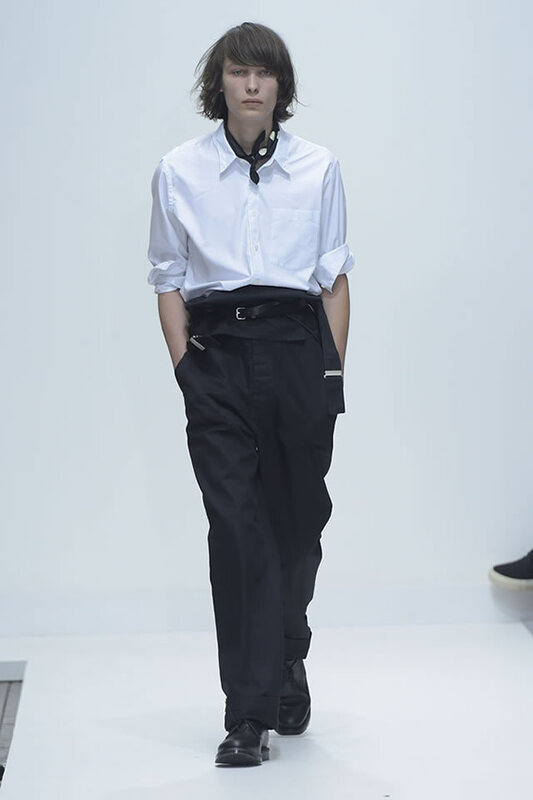 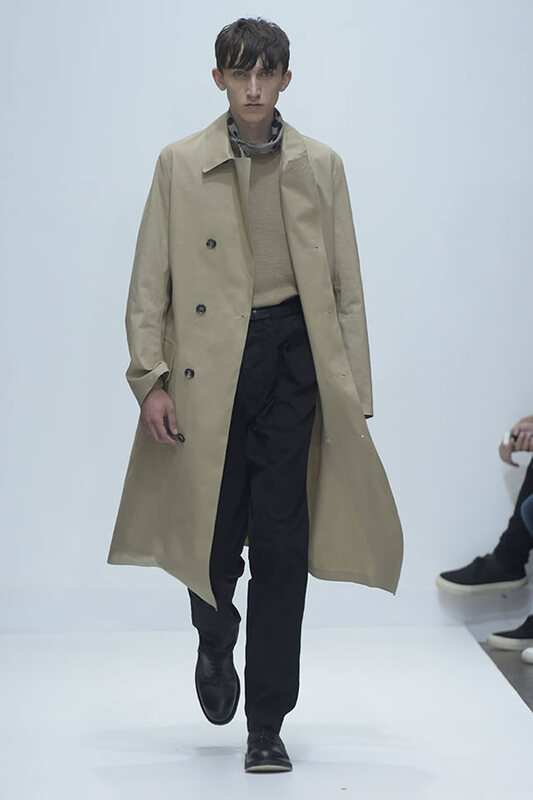 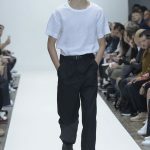 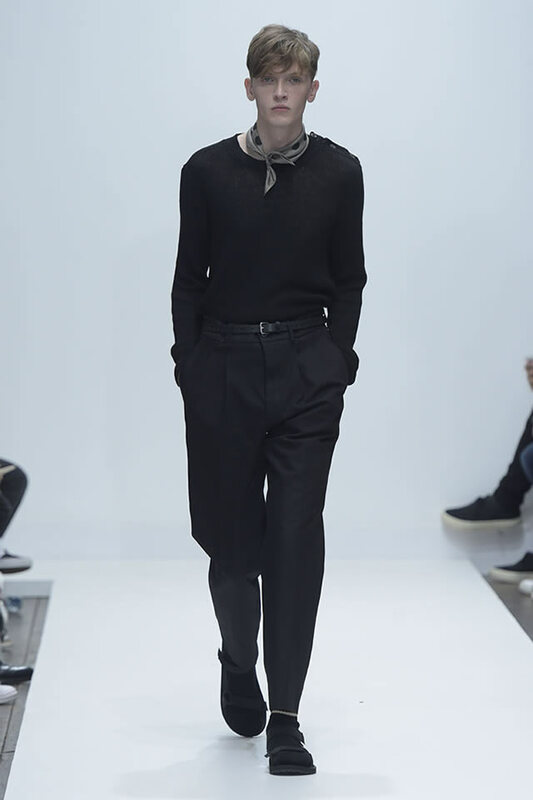 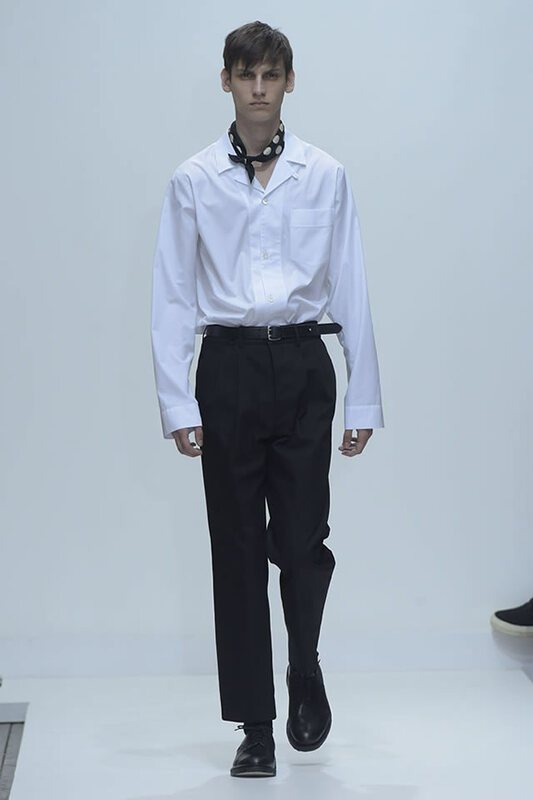 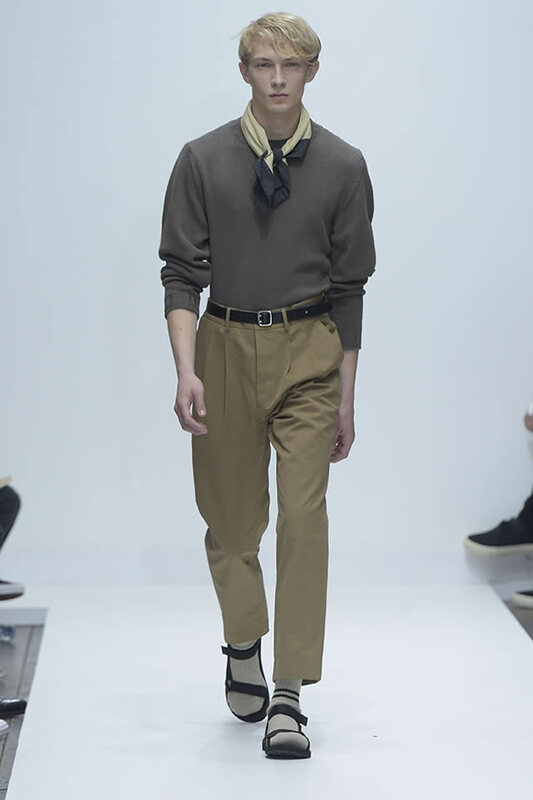 There was a jaunty, outdoorsy mood to Margaret Howell’s pared-back, classic men’s wear this season. 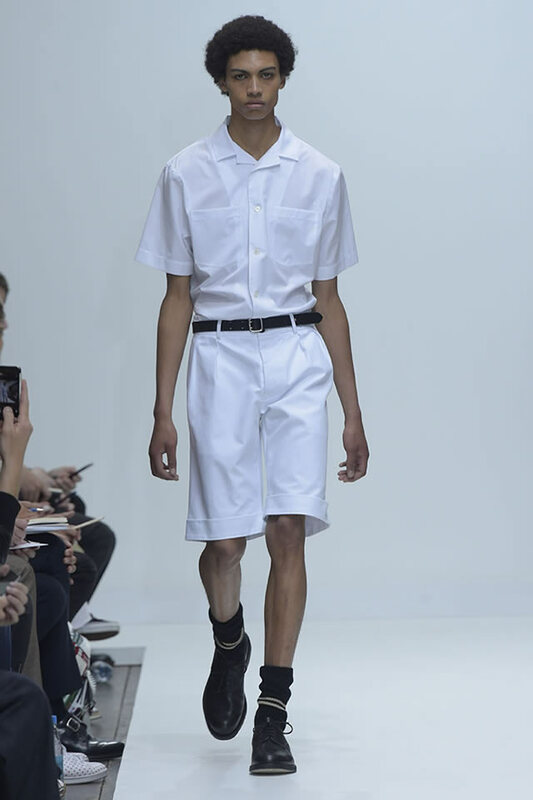 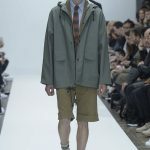 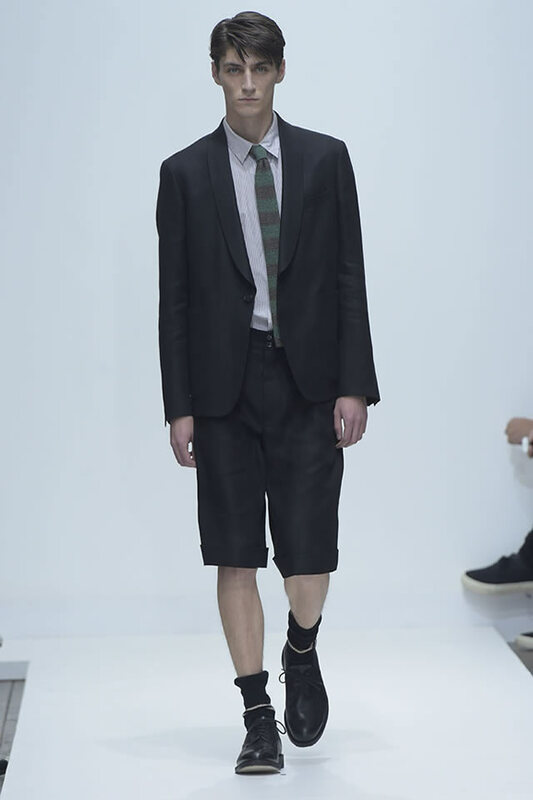 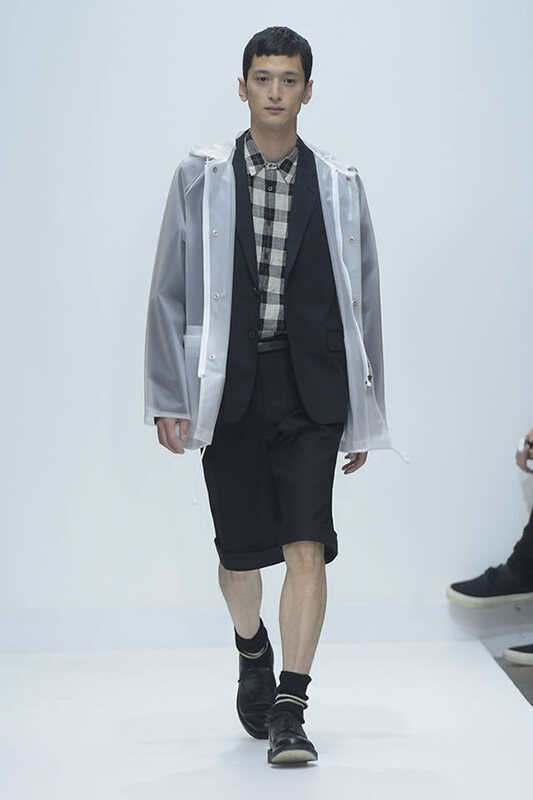 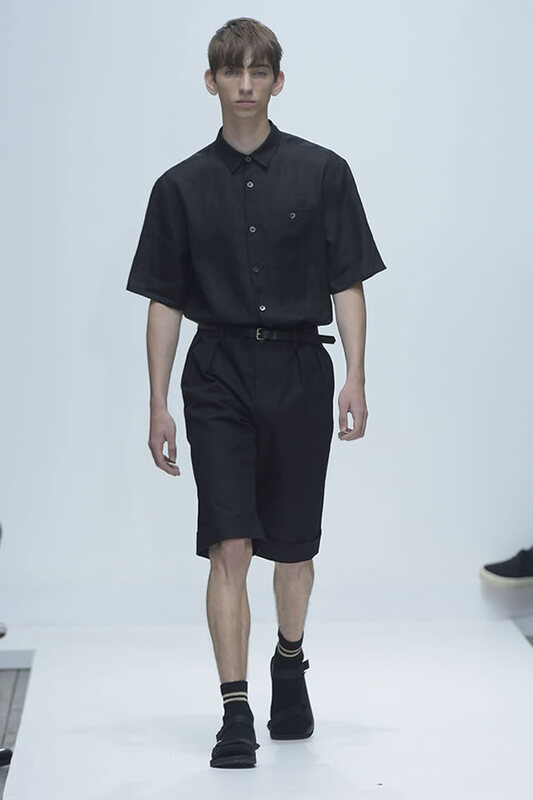 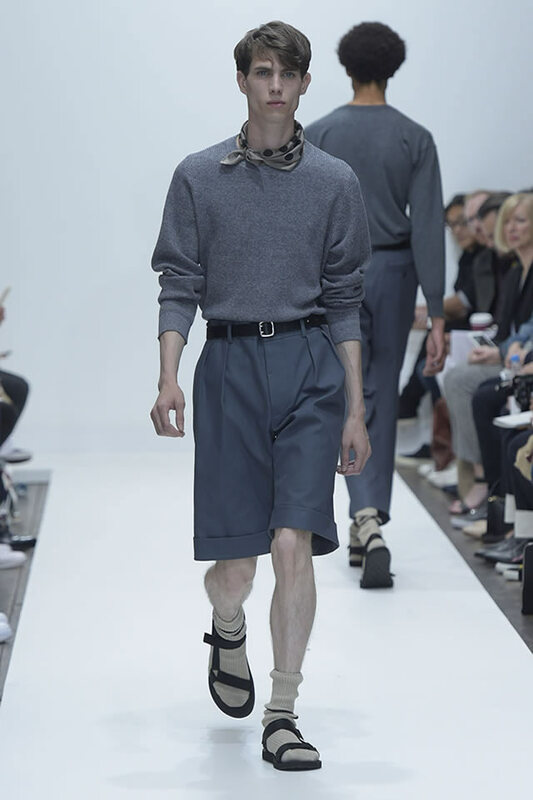 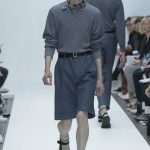 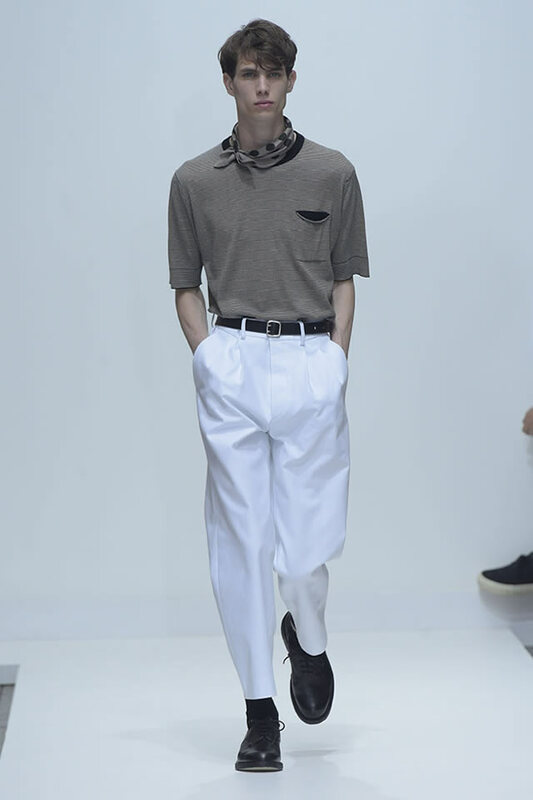 Among the looks were roomy anoraks worn over suits with knee-length shorts instead of pants, and accessorized with the very British combo of socks and rugged walking sandals. 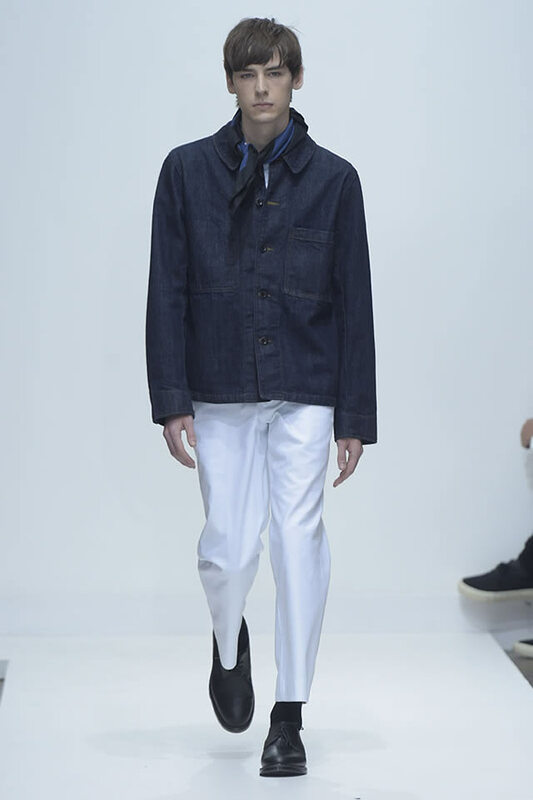 The designer worked the pieces in a typically restrained palette of navy, khaki and bright white. 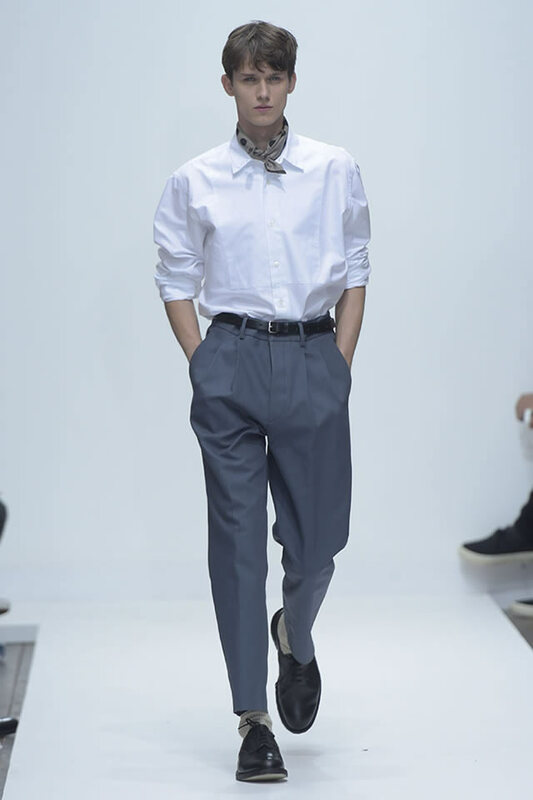 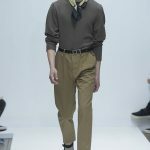 Howell also sent out plenty of soft suiting, which this time had a vintage air, with high-waist, belted pants, worn with tucked-in Aran sweaters or shirts, often with simple macs over the top. 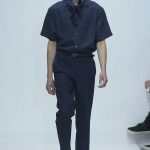 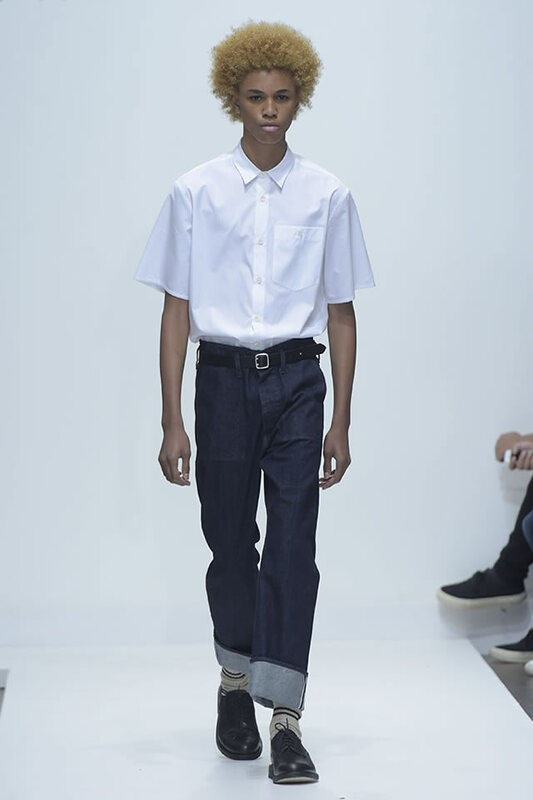 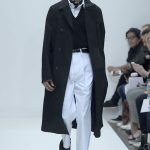 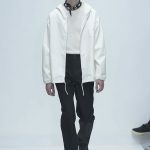 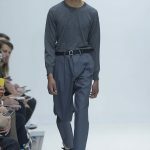 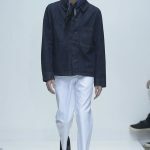 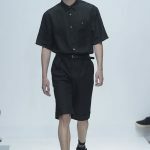 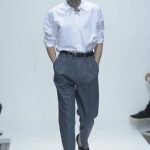 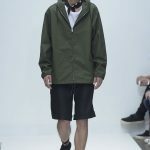 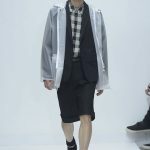 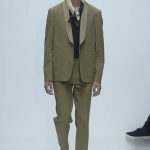 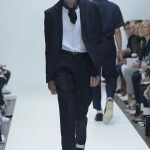 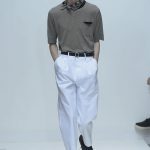 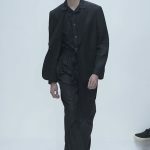 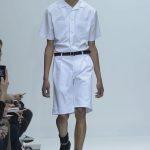 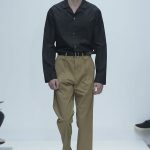 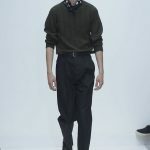 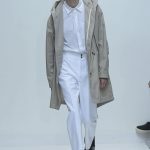 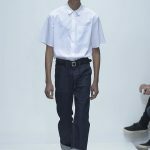 Interesting fabrics – such as translucent plastic for anoraks, or heavy selvage denim for jeans and jackets – lent a modern edge to the low-key lineup.